I told myself no more dahlias. We live in an arid valley north of Los Angeles that is just too hot and dry for dahlias. This morning I went to the garden store for some lady bugs. I found an aphid on my basil. 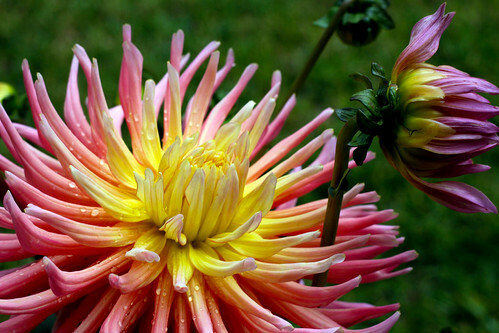 It is actually raining today and this dahlia is one of my absolute favorite varieties. In the rain and in bloom there is no plant more photogenic. So it came home with me. It didn’t cost much more than a bouquet of fresh flowers and will hopefully last a little longer. Here are the photos. This entry was posted on Thursday, June 4th, 2009 at 3:00 am and is filed under Garden. 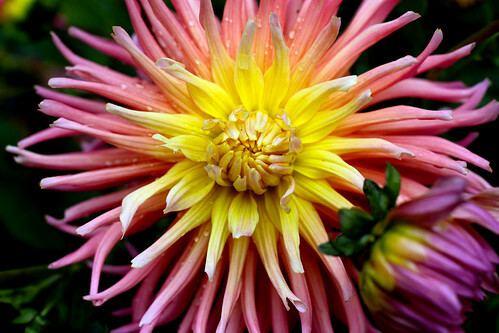 Tagged: Dahlia, Garden, Photo. You can feed this entry. You can leave a response, or trackback from your own site. Hope the ladybugs do the trick with the aphids on the basil. We can’t have that!